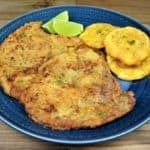 Bistec Empanizado (Cuban breaded steak) is a thin steak coated in cracker meal and quickly fried until it is golden brown. 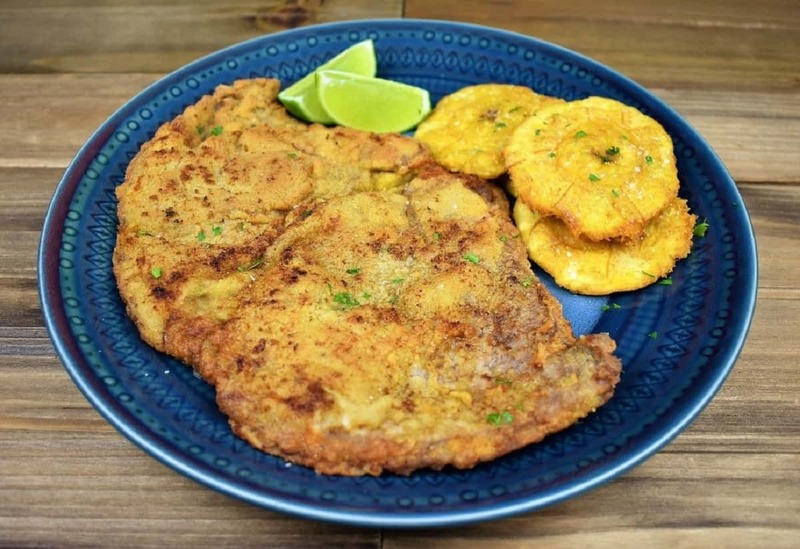 Serve the steaks with lime wedges, tostones, white rice and black beans or with French fries for a traditional (and awesome) Cuban meal.​ If you’re a fan of bistec empanizdo, try this breaded chicken steak or breaded pork steak, they’re done Cuban style and are just as delicious! Cook’s Note: If you can’t find cracker meal, use plain breadcrumbs. 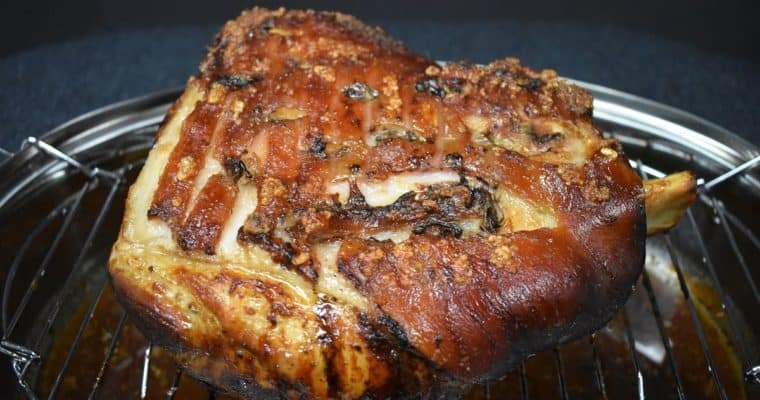 Combine the salt, garlic powder, black pepper, cumin and dried oregano in a small bowl. Stir well to combine. Sprinkle the prepared seasoning on both sides of the steaks. Use a large baking sheet or two plates; add the flour to one side and the cracker meal (or breadcrumbs) to the other. Season the flour and cracker meal with a couple of pinches of salt. Add the eggs and a pinch of salt to a large bowl and scramble using a fork or whisk. Working with one steak at a time, lightly coat it on both sides with the flour, shake off the excess. Next, dip the steak in the egg mixture; make sure it’s evenly moist. Now, place the steak in the cracker meal, make sure there is an even coating and gently shake off the excess. Place the steak on a pan or plate and repeat with the remaining pieces. If you’re stacking the steaks, use a piece of parchment paper in between so the coating does not stick to itself and flake off. Add enough oil to a large skillet to cover the bottom by about a ¼ to ½ an inch. Heat the oil over medium-high heat. 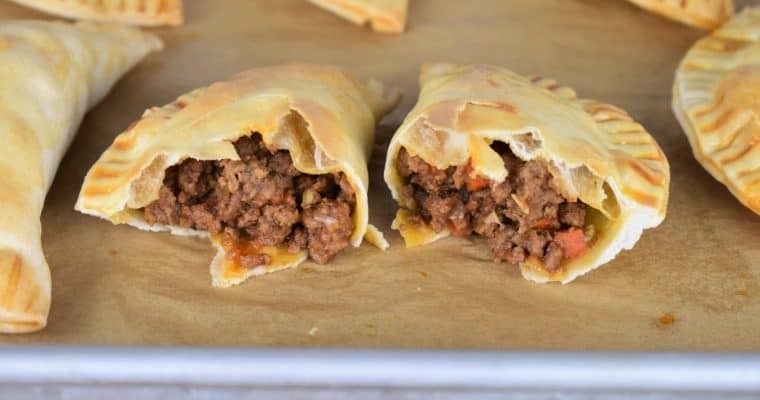 Fry one bistec empanizado at a time for about 2 minutes per side, or until golden brown on both sides. Use tongs to turn so the breading doesn’t flake off. Remove the steak from the skillet and place it on a baking sheet that’s lined with a cooling rack. Place the baking sheet in the oven to keep warm. Repeat with the remaining pieces. Make sure the oil is hot before adding the steaks. I like to use a small test piece to make sure the oil is hot enough. If the oil starts bubbling and makes a sizzle sound, it’s ready to go. Also, be sure the oil is not too hot, or the coating will brown too quickly and the steak will not get cooked all the way through. If the steak is browning too quickly, lower the heat a little bit and turn it frequently to brown evenly on both sides. It may be necessary to lower the heat for the second or third batch. Just keep an eye on it, and adjust the heat as needed. Bistec Empanizado (Cuban breaded steak) is a thin steak coated in cracker meal and quickly fried until it is golden brown. Use a large baking sheet or two plates; add the flour to one side and the cracker meal (or breadcrumbs) to the other. Season the flour and cracker meal with a couple of pinches of salt. Add the eggs and a pinch of salt to a large bowl and scramble using a fork or whisk. Working with one steak at a time, lightly coat it on both sides with the flour, shake off the excess. Next, dip the steak in the egg mixture; make sure it’s evenly moist. Place the steak in the cracker meal, make sure there is an even coating and gently shake off the excess. Place the steak on a pan or plate and repeat with the remaining pieces. If you’re stacking the steaks, use a piece of parchment paper in between so the coating does not stick to itself and flake off. Add enough oil to a large skillet to cover the bottom by about a ¼ to ½ an inch. Heat the oil over medium-high heat. Fry one bistec empanizado at a time for about 2 minutes per side, or until golden brown on both sides. Serve the bistec empanizado with lime wedges.